Super Smash Bros. Ultimate director Masahiro Sakurai published a new column in this week’s issue of Famitsu. While there was some talk about the Switch game, Sakurai touched on a few other interesting topics as well. 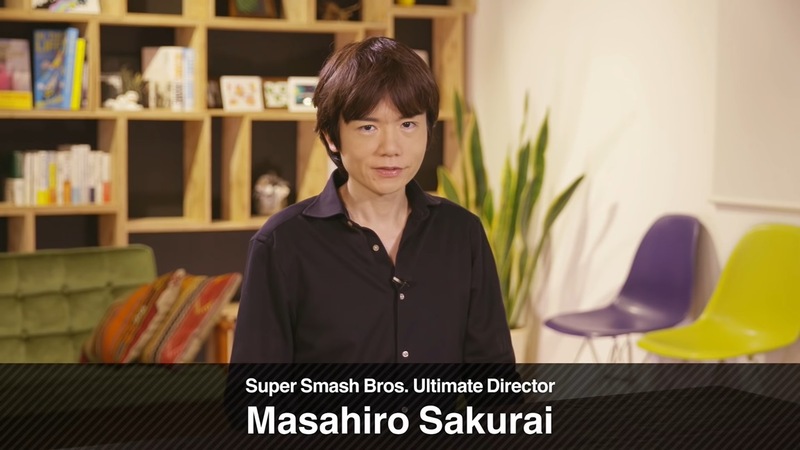 In his piece, Sakurai started out by writing about a couple of games he’s been playing. He also discussed his own personal way of playing Smash Bros. Ultimate at the moment, and thanked fans for their support having sold 5 million copies in its first week. The piece also brings up creating entertainment, regrets, and the Japanese games industry. Happy new year! I say that, but… This was actually written at the end of the year. I haven’t taken a huge end-of-project break, and I haven’t traveled anywhere; rather, I took a three-day weekend over Christmas… And Dragon Quest Builders 2 took up all that time!! I’ve been playing through games as diligently as ever – I recently finished Judgment. In terms of Japanese games, it’s worth considerable merit being the contemporary drama that it is; each character stood well on their own, it had its charm. And then there’s DQ Builders 2… I’ve been waiting for it! It’s a dangerous game though, I could get caught up in mining or prepping the soil forever! It just isn’t possible to finish the game without getting sidetracked at some point. I wonder if it’d be the one thing I’d take to a desert island… Only if it were completely empty, though. Well, there’s no sense in worrying about things you can’t change; the games I’ve made are fun enough to play. Super Smash Bros. Ultimate sold over 5 million copies in its first week – that’s the most of any of Nintendo’s games for home consoles. I deeply appreciate the developers and fans of each title, and of course, the players. Again, thank you so much. That isn’t just limited to games, either, though. There are a lot of hands involved in the creation process in a variety of sectors in the entertainment industry, like films, for instance. And the people who are taken with these products’ charm since they were kids end up on the development side of things. And thanks to that, it’s a lot easier for us to enjoy things that have a lot of work put into them – like games and movies. I have a deep appreciation for the production side of it all, so I tend to end up enjoying other products too much. I’m only one of the many hands involved in the industry, and I’m doing my best at what I’m working on now – I wanted to try my hand at writing at down my aspirations. And with that, have a great new year!